January is usually the dullest month of the year for me but not this time. 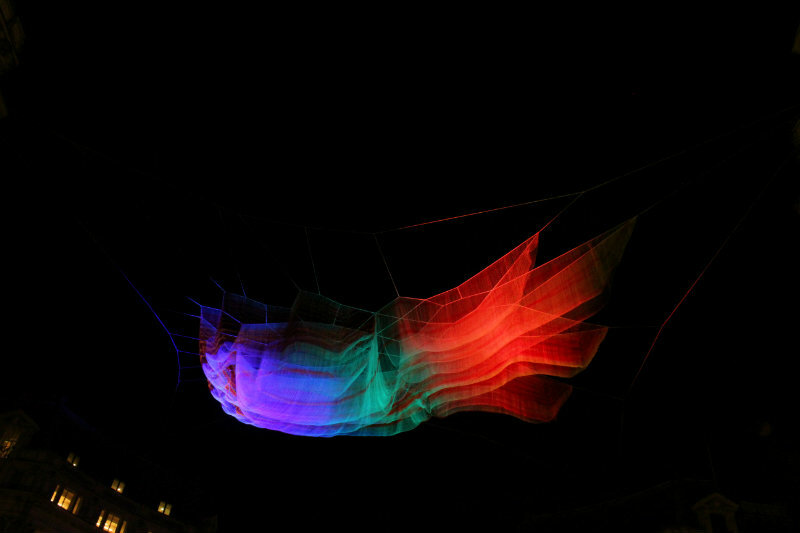 First we visited Milan for my birthday and this weekend London was beautifully lit up as part of the Lumiere Light Festival. 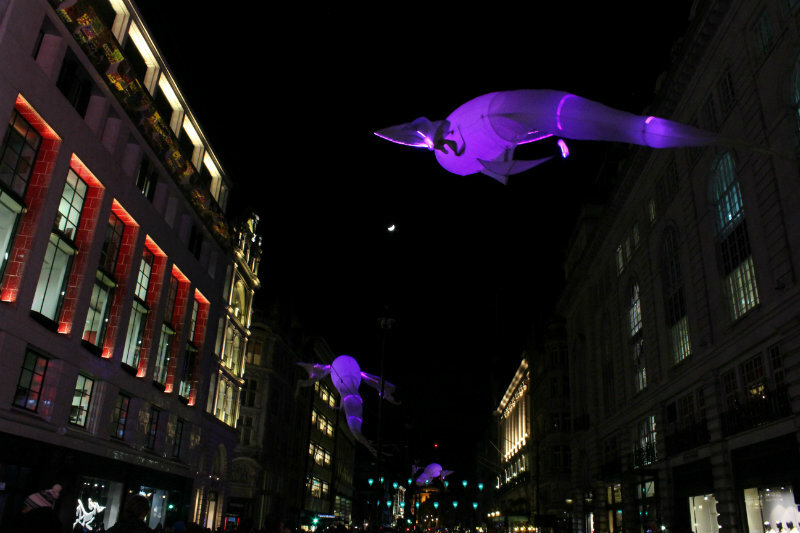 Some of London’s famous landmarks were filled with light-up art including animations and floating statues – something I had to see! It all started on Thursday evening and I couldn’t wait to finish work, so I could head to the centre to see the light animations with my own eyes. 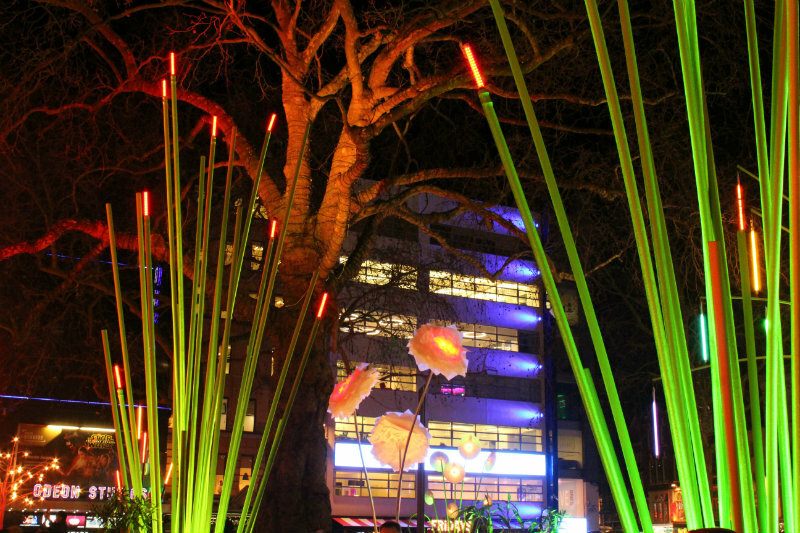 We started at Leicester Square which was transformed in a beautiful garden of lights. We spent a while there just wandering around admiring the beautiful instalments. Next stop was Trafalgar Square with the ‘Plastic Island’ and the Centre Points lights that were once on top of the skyscraper next to Tottenham Court Road station. A few years ago, we actually went to the restaurant on the top floor of the Centre Point, so it was fun to see the sign right in front of us. 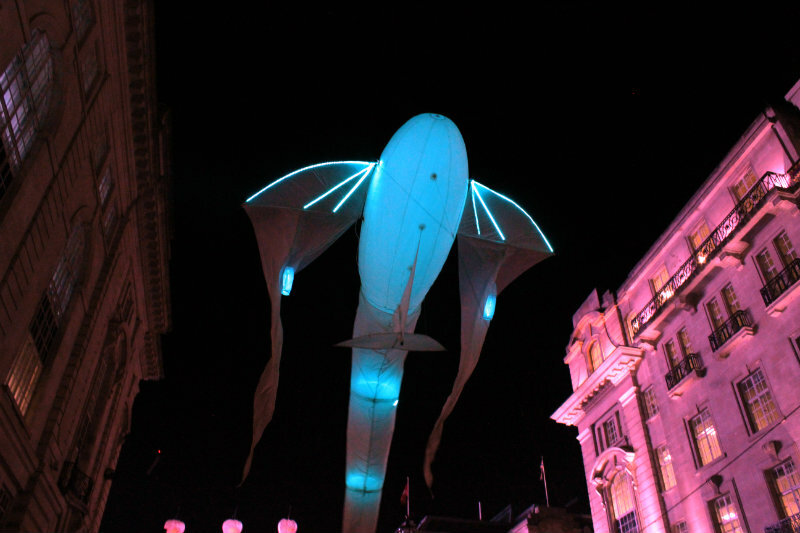 After a well deserved break at Herman ze German, we headed to Piccadilly Circus to see more of the light installations and that’s where I found my absolute favourite as well – ‘Les Luminéoles’, dream-like creatures flying against the wind and the magical music made me feel like being in one of these fairytale worlds. 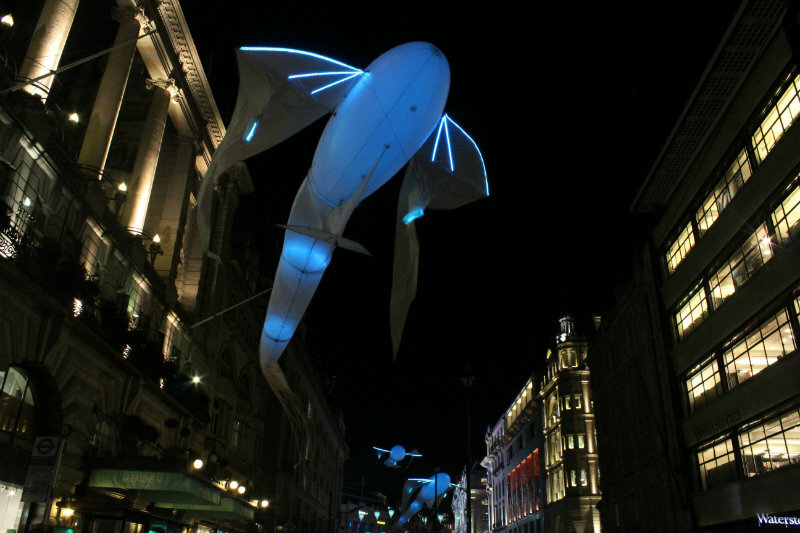 Further down the road were other installations including ‘195 Piccadilly’ and a 3D elephant. 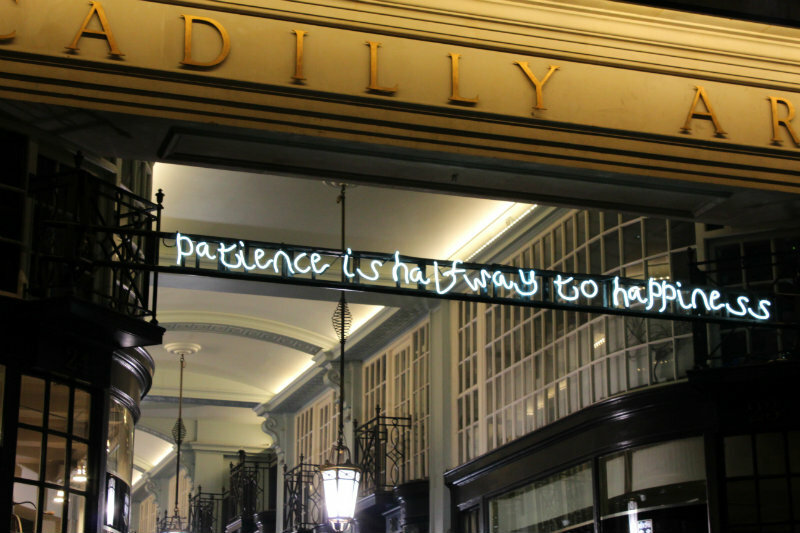 I also really liked one of the lit up quotes: ‘Patience is halfway to happiness’. 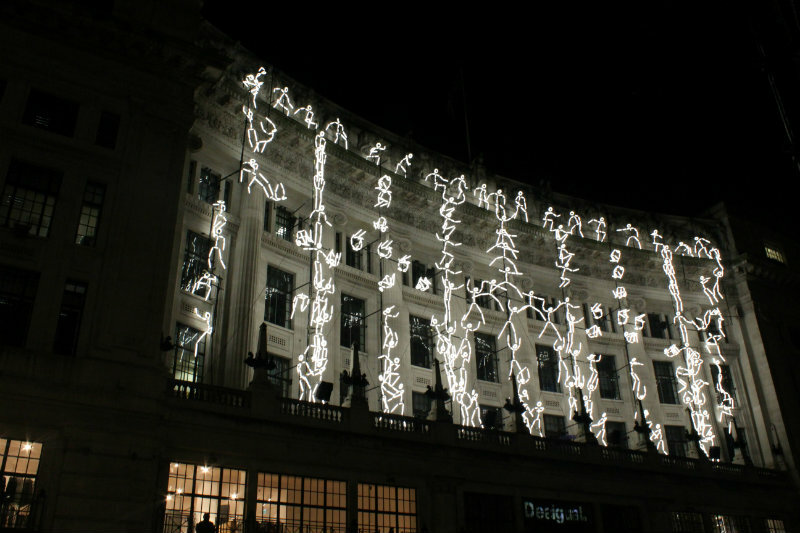 Other favourites of mine were the glowing dress at Liberty’s, a tetris like light installation on a building in Regent’s Street and the 3D lights at Oxford Circus. 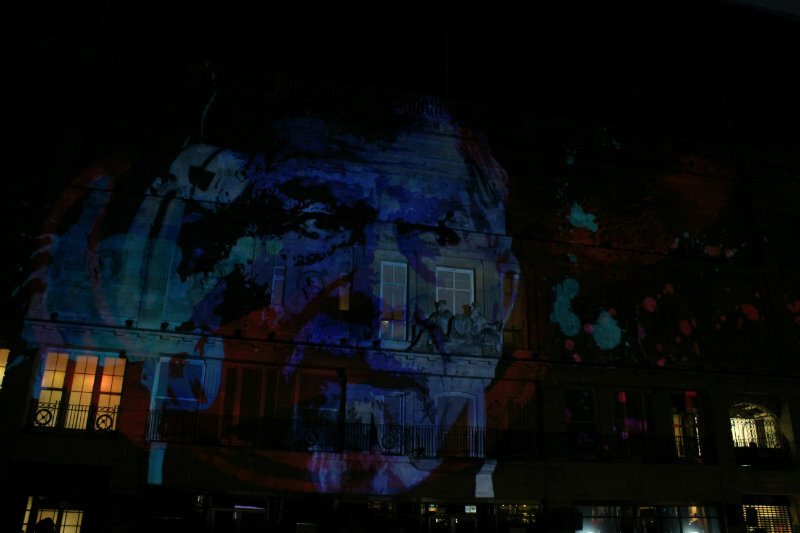 Believe it or not, these were only half of the installations of the festival. 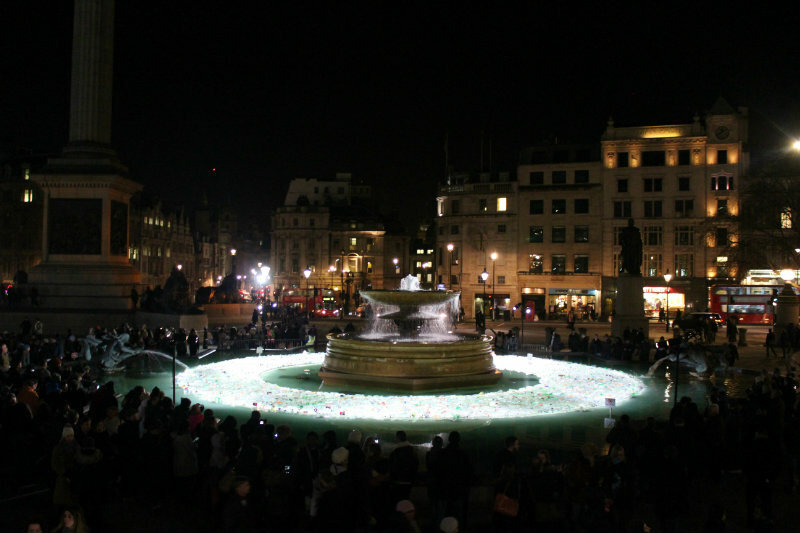 There was lots more to see in Marylebone, King’s Cross and Westminster. I enjoyed seeing London lit up and it really makes this city so special. 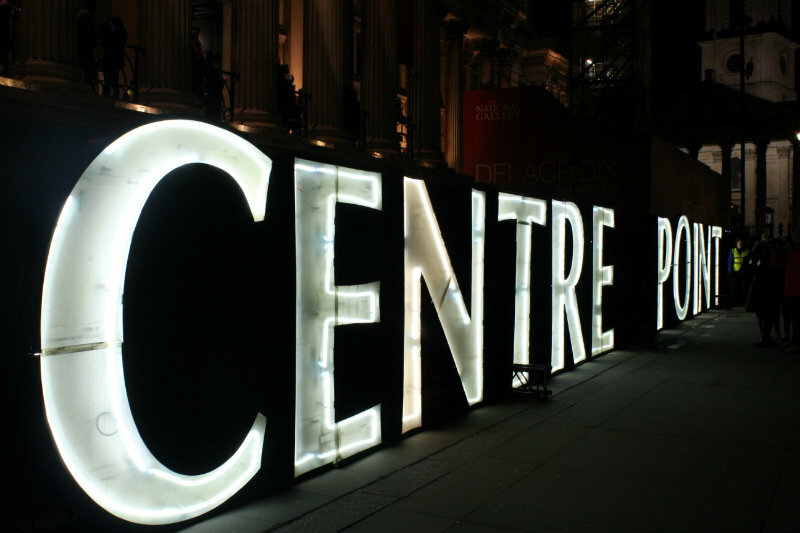 The 17th is your last chance to see it in London, so if you’re in the city don’t miss out. 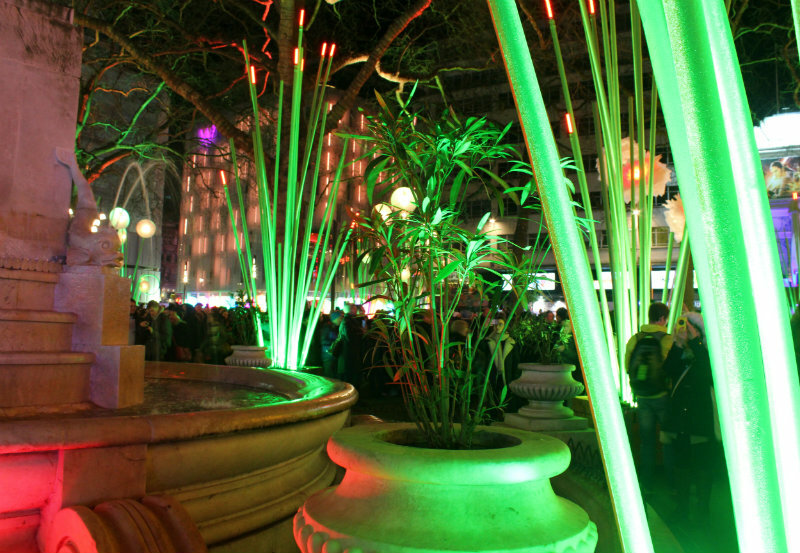 Have you been to a light festival before? Did you enjoy it? 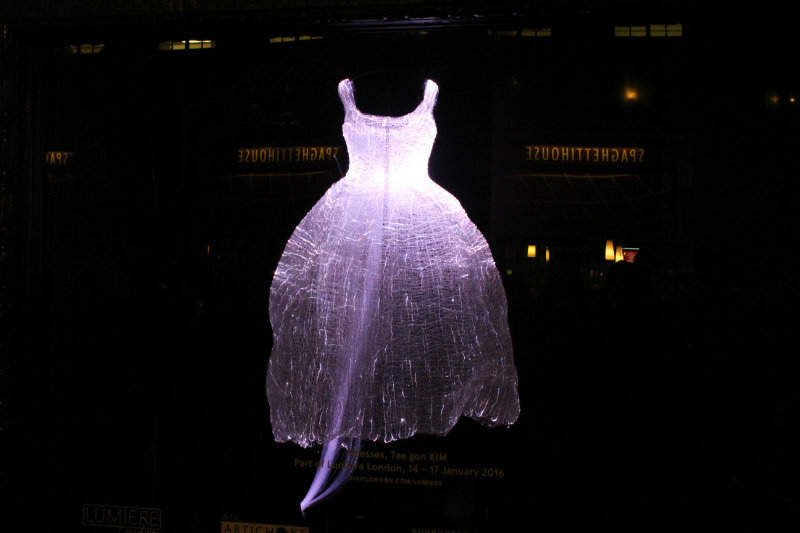 NOTE: The Lumiere Festival is back in London from the 18th-21st January 2018. This is your chance to check it out!